Advent GX launched its Arts and Innovation series of gatherings with a house recital by Concert Pianist Roberto Hidalgo. More than 50 friends of Advent GX, the Innovation Underground (IU) and Downtown Bryan enjoyed an afternoon of piano and networking followed by a reception with wine and refreshments. The intimate event was held in the IU Parlor on the main floor of the Federal Building in H istoric Downtown Bryan. Roberto Hidalgo introduce each selection, providing insight into the connections between the featured composers. 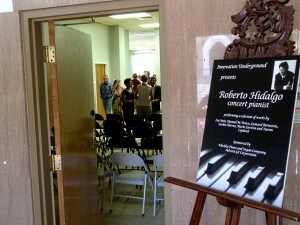 Roberto Hidalgo is known for programs that combine Latin American works with those from traditional western repertoire. 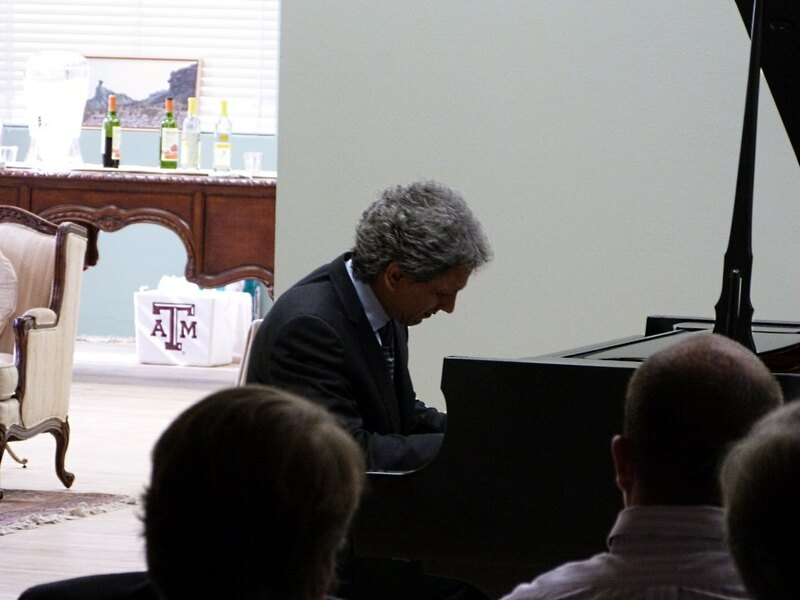 During the IU event, he performed a selection of works by Leo Smit, Manuel M. Ponce, Leonard Bernstein,Carlos Chavez, Mario Lavista and Aaron Copland. Roberto has participated at festivals such as Foro de Compositores del Caribe in Medellín, Colombia; Festival Cervantino in Guanajuato; Foro Internacional de Música Nueva “Manuel Enríquez”, in Mexico City; Festival Internacional de Interpretación, in Gerona, Spain, the Chappaquiddick Summer Music Festival and the Festival-Institute at Round Top,Texas. His appearances include the Bing Auditorium at the LA County Museum Los Angeles; Weill Recital Hall at Carnegie Hall, Town Hall, Bruno Walter Auditorium and Merkin Hall in New York City; Palacio de Bellas Artes, Sala Blas Galindo, Sala Nezahualcoyotl, Sala Carlos Chávez in Mexico City. 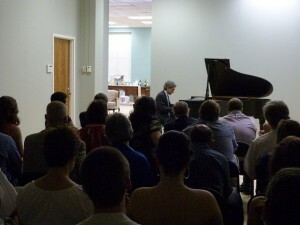 He holds degrees from Mannes (BM and MM) and The Manhattan School of Music (DMA) where he studied with Nina Svetlanova. He has participated at festivals such as Foro de Compositores del Caribe in Medellín, Colombia; Festival Cervantino in Guanajuato; Foro Internacional de Música Nueva “Manuel Enríquez”, in Mexico City; Festival Internacional de Interpretación, in Gerona, Spain, the Chappaquiddick Summer Music Festival and the Festival-Institute at Round Top,Texas. With pianist Marc Peloquin, he has given succesful two-piano concerts hailed for their innovative programs. A First Prize winner of the Artist International Competition, he has received support from The Magowan Family Foundation and the Faculty Resource Grant from the Bloomingdale School of Music where he is a member of the faculty.